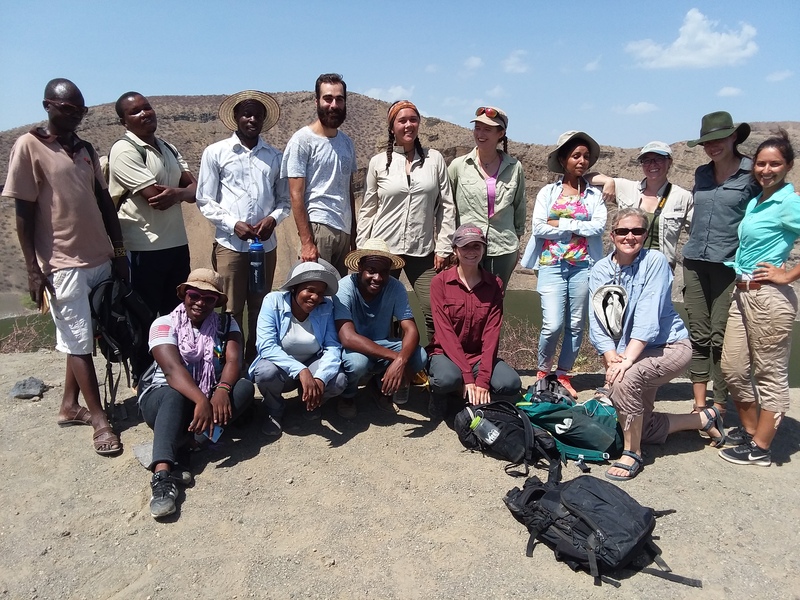 In the first week of Paleontology, TBI field school students learned about the history and mechanisms of evolution, the osteology of many different types of animals from primates, artiodactyls and perissodactyls, to carnivores, as well as a discussing the specific functional morphology of individual species. 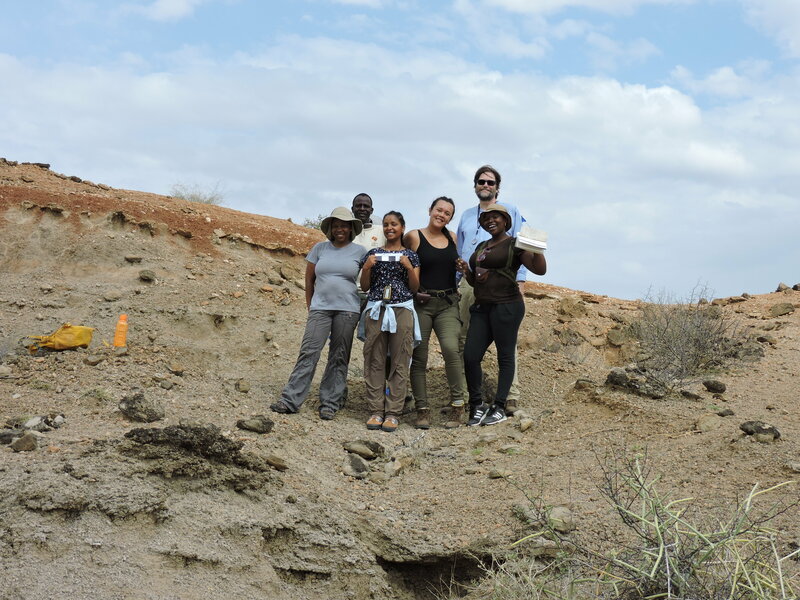 We ended the week in the fossil lab, where two of TBI’s experienced fossil hunters and preparators, Sale and Apolo, lead us through Plio-Pleistocene fossil archives. Here students used their new knowledge to examine and identify different mammalian fossil bones. Week two consisted of field work, field work and more field work! 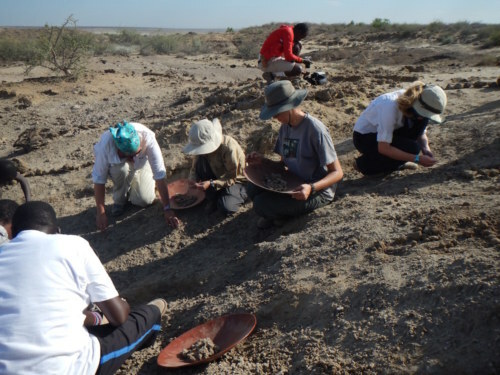 It was a great week as the students had the opportunity to apply everything they learned in lecture and lab to what they were finding in the field. 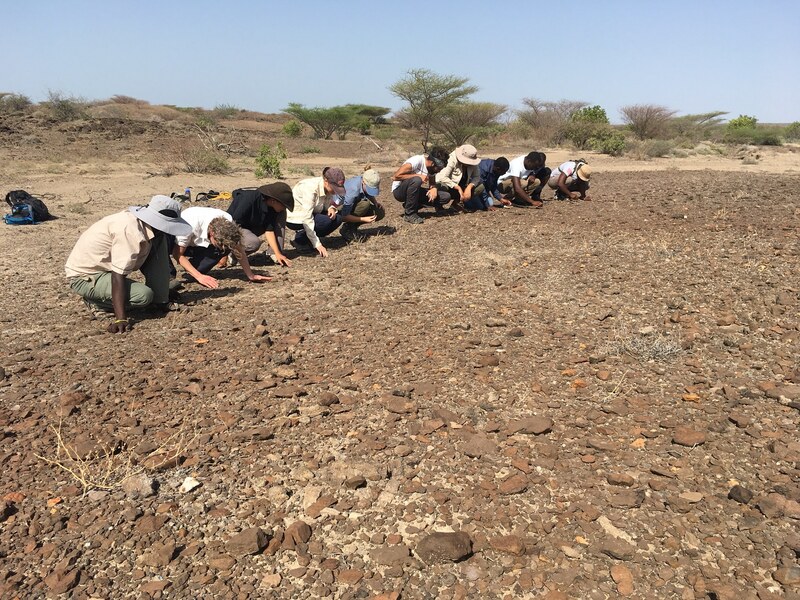 They had the opportunity to search for real fossils, take part in excavations and learn the specific protocols for fossil collection. 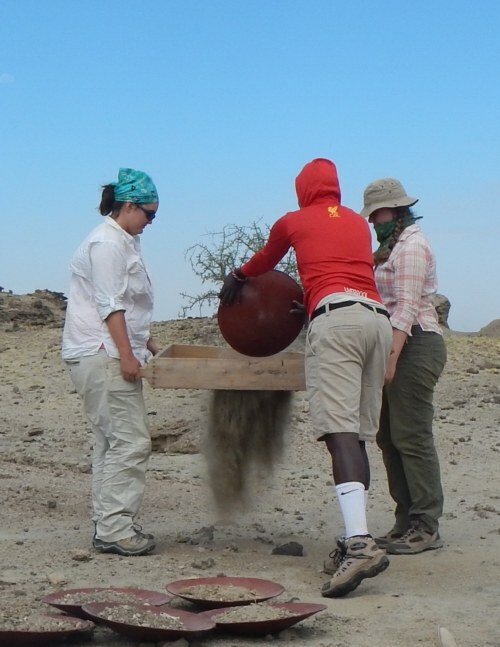 The last few days of paleontology consisted of more prospecting, hill crawls, and sieving! 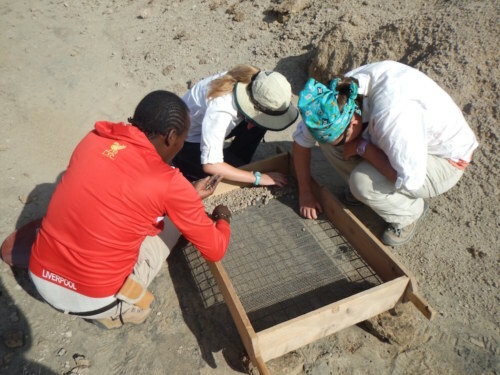 Sieving is a critical step in the collection process of fossil specimen. 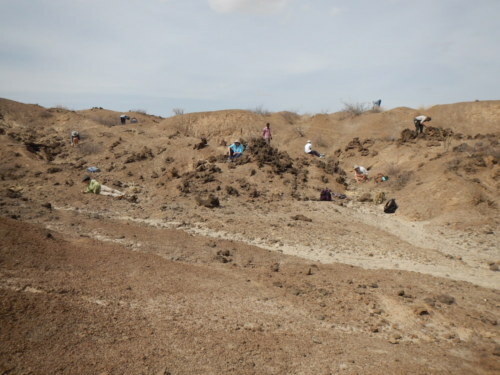 It allows us to recover every last bit of information from a fossil site, further adding knowledge we have about an incomplete specimen or microfauna, which can be very hard to find while prospecting. When sieving a designated area, the surface must be cleared of any large rocks and then sediment can be collected using brushes and pans. 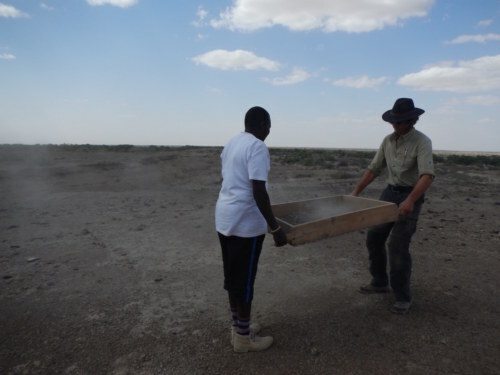 Once enough sediment is collected, it is sieved through, which filters out fossils and pieces of rock from the smaller grains of dirt and sand. 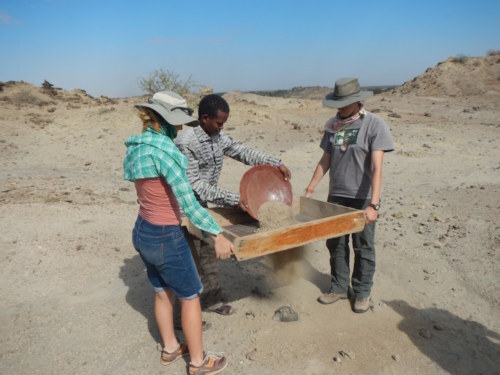 Sieving is a time-intensive procedure as it requires filtering through all of the sediment in an area, but can be very lucrative in finding tiny fossils that can otherwise be easily missed! 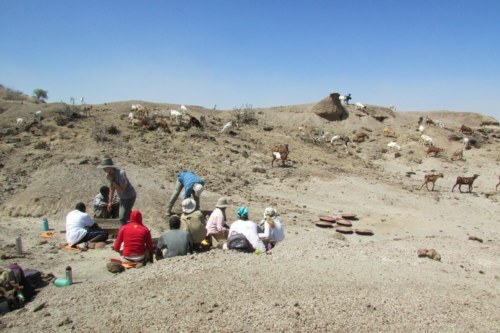 Students split up into a sieving group and a prospecting group. Below are photos of the students and staff hard at work! 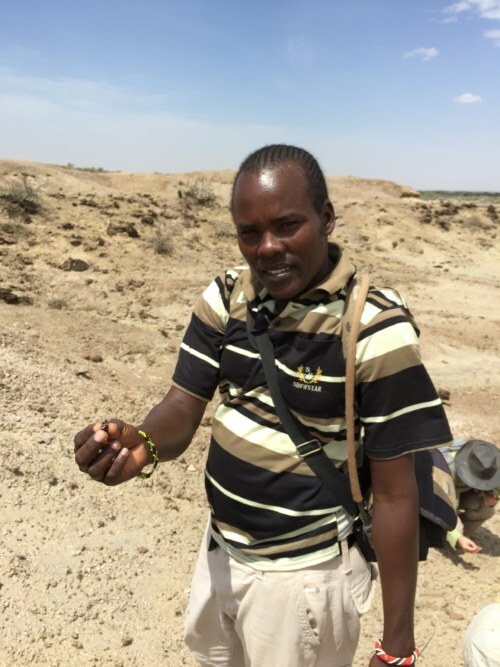 Apolo found a monkey molar. 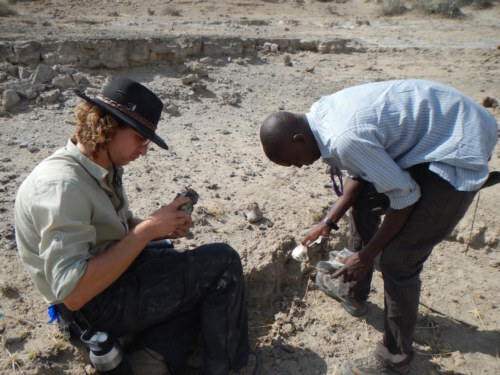 Mattia and Dr. Miller survey the area down hill from where Apolo found the tooth. 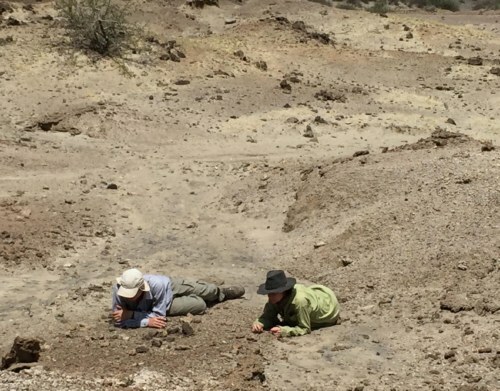 Dr. Miller and Millie hill crawl together and discuss what fossils they found! The students really made sure they didn’t miss a single fossil! 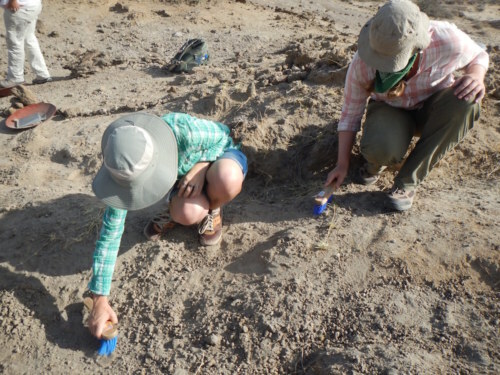 Carla and Natalie try to decide if these large broken fossil bones are worth flagging. Max and Toby make sure they didn’t miss any important finds! Morgan and Yvette give it a try too! Yvette protects her face with a bandana since sieving can get really dusty. 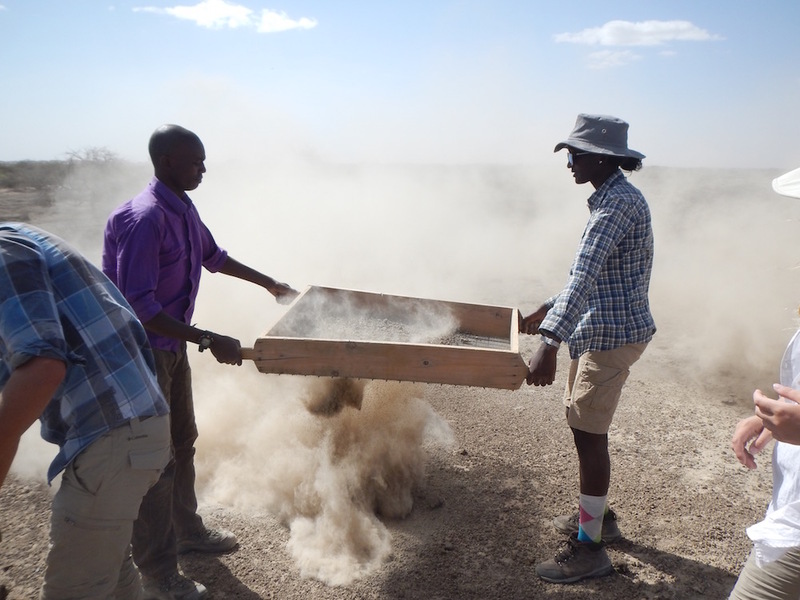 Goats walked by this sieving party. After working for a whole morning prospecting and sieving, the students took a peaceful lunch break under a beautiful tree nearby. Sometimes you don’t realize how tired you really are until you sit down! 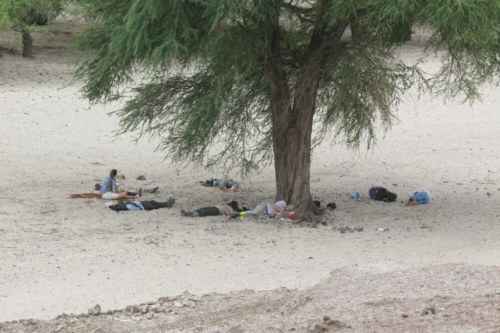 Within minutes, many students were taking mid-day naps. Tree where we had lunch and rested up before more field work. Local Daasanach children stopped by to say hello to the TBI field school students. Emily decided to hang out with the kids instead of taking a nap under the tree. Not too long after lunch, the students were back at it again! They were all very eager to see what else they would find! 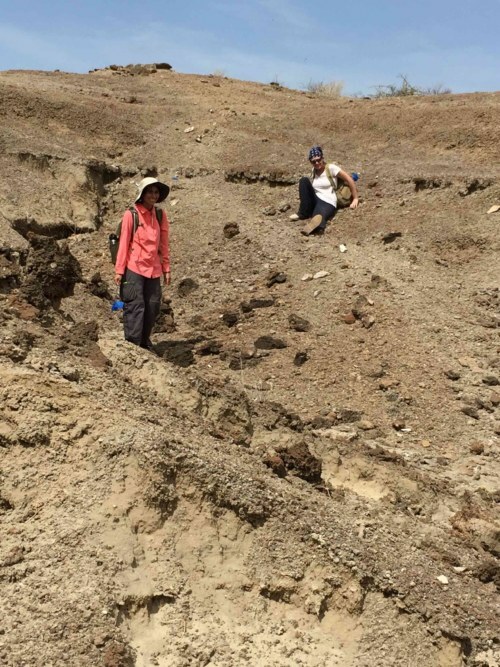 Carla and John search for tiny primate fossils! Max is excited to see what his group will find! Group 2: who will find more fossils?? Sometimes the smallest fossils can provide us with more information than expected. One group of students that sieved found fragments of a rabbit skeleton and they were even able to piece some parts of it back together! 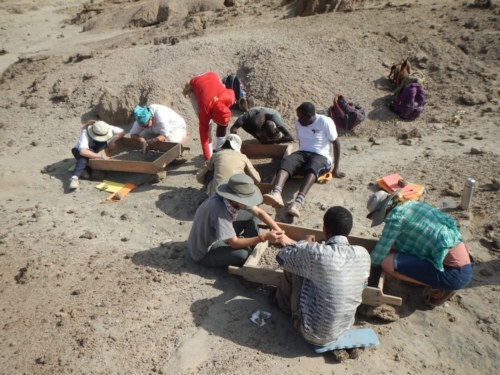 All week while the students were prospecting they kept picking up crocodile teeth, hippo femurs, and fish bone. 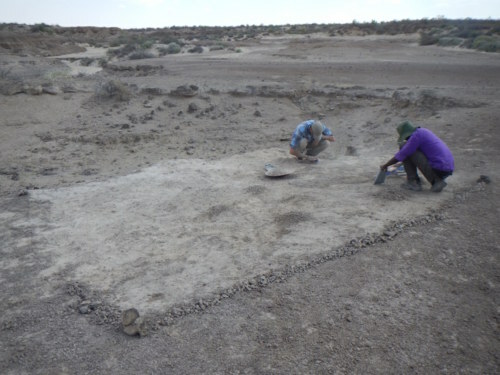 After sieving, they were extremely surprised at what they found: a fragmented rabbit mandible, a rabbit astragalus and calcaneus, rodent claws, rodent incisors, and even small fragments of turtle bone. 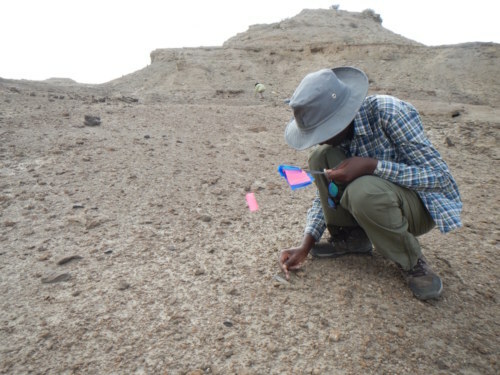 This activity allowed them to appreciate how many small specimens we commonly walk past while prospecting. Because less than 1% of living animals are preserved in the fossil record, it is critical to collect as much data as possible. 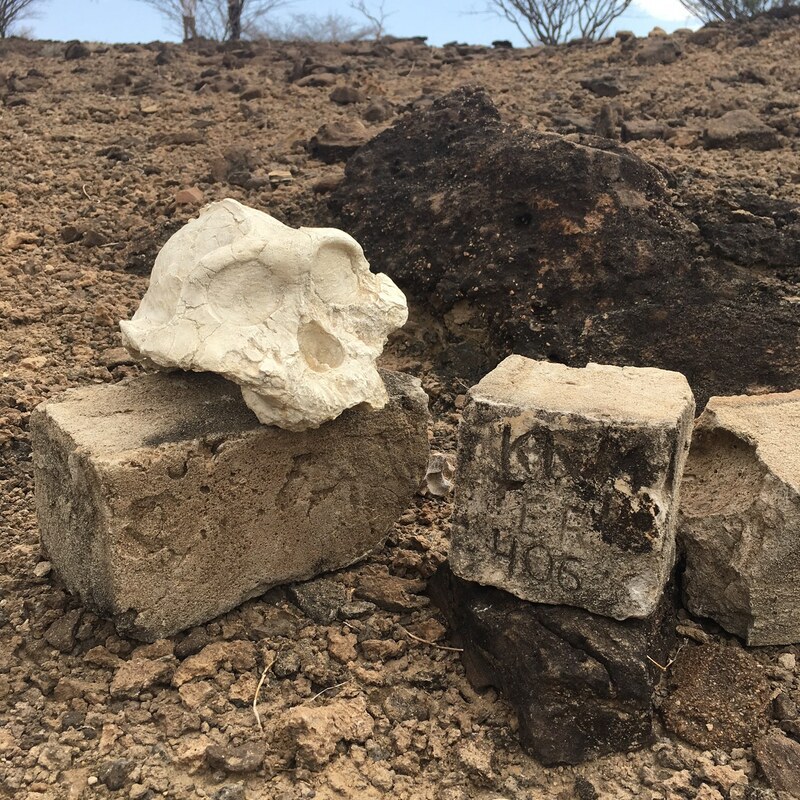 From the smallest rodent claw to the largest hippo mandible, each fossil that is found contributes to our overall understanding of what kinds of animals may have been coexisting. 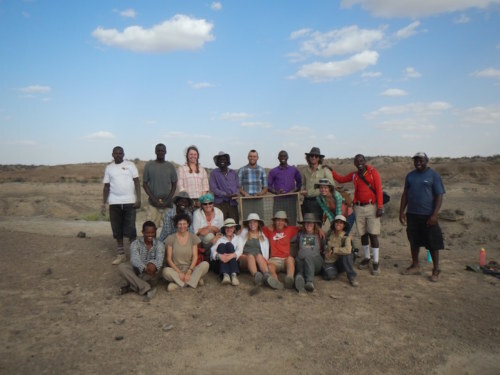 Group photo of the sieving crew! 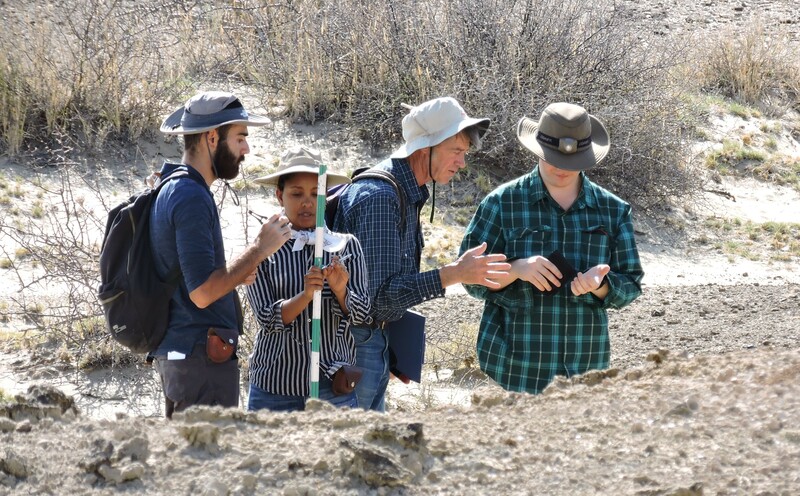 The students were so grateful for all the help they got from their professor Dr. Miller and the TBI fossil hunting crew, Malomalo, John, Sale, William, and Apolo! 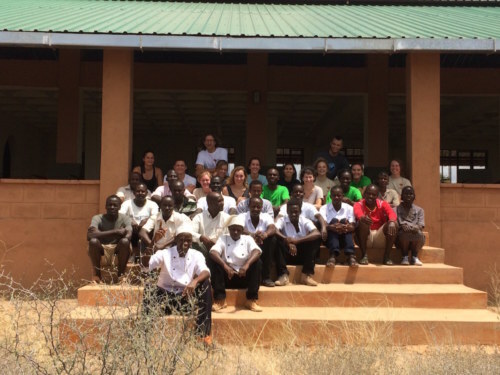 Also, for our chef’s that always make sure we are all happy and full throughout all of these long field days and most importantly our driver Mwan’gombe, who is the main reason the students can go to so many amazing sites! 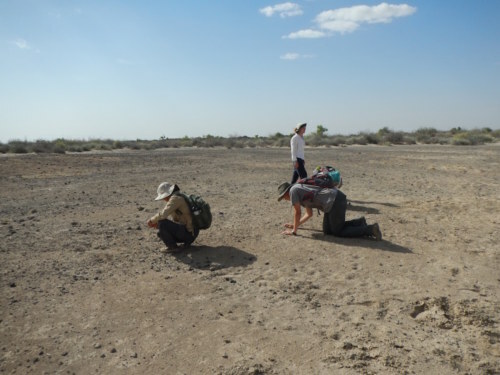 Without any of them, they wouldn’t have been able to learn and experience what real field work was like. 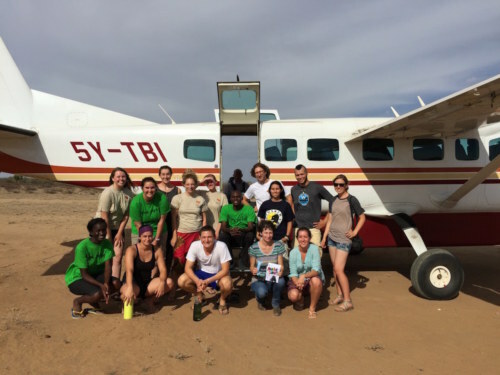 We would also all like to thank Dr. Meave Leakey for allowing us to spend time in a few of the areas that her teams have conducted field research. 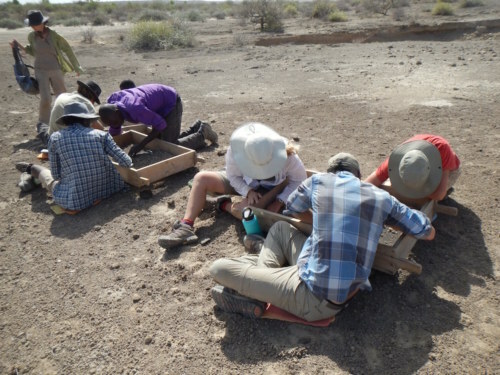 Without all of their hard work throughout the years, we may not have had nearly as productive of a time learning and researching in the field. 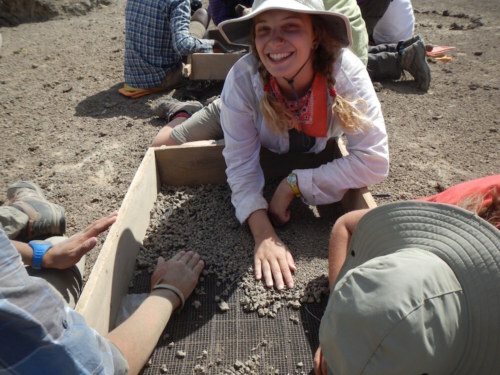 It was a great two weeks in paleontology! Of course, we can’t forget about the birthdays! Throughout these exciting and jam-packed two weeks, we got to celebrate two! 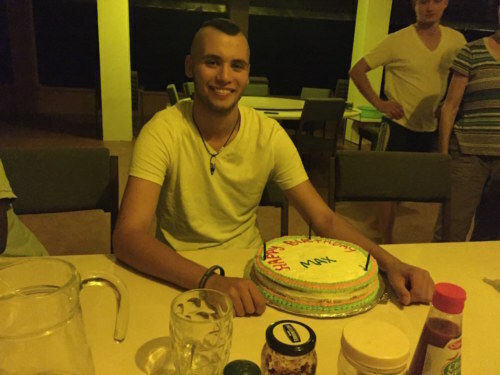 Max celebrates his birthday and his new haircut! 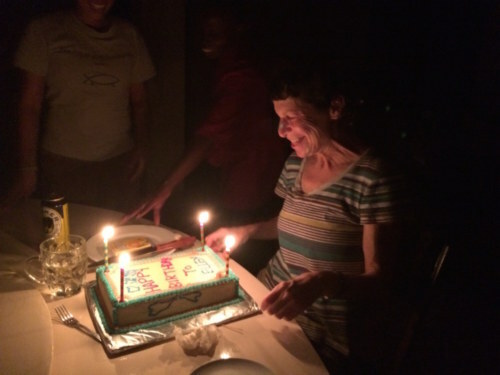 Dr. Miller is extremely surprised at her beautiful birthday cake! 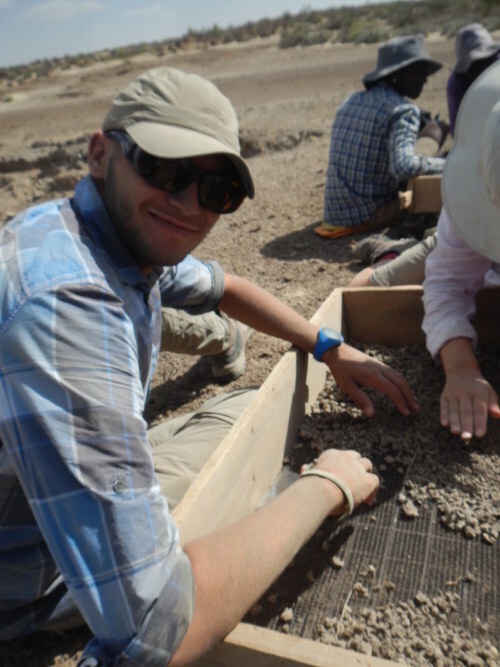 Unfortunately, the two weeks of paleontology flew by faster than anyone expected. 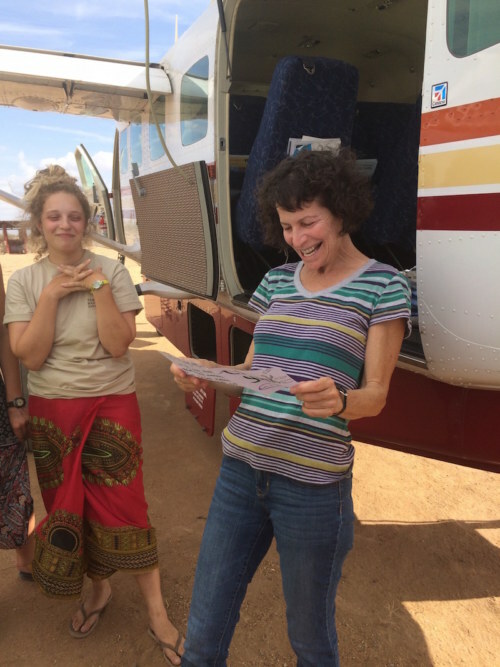 The students had to say goodbye to Dr. Miller and they showed their appreciation by making her a card, thanking her for everything she has taught them! Dr. Miller is pleasantly surprised by her thoughtful gift! 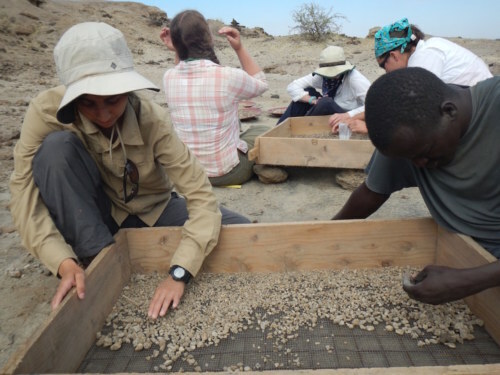 More than halfway through the field school and the students have already become master ecologists, geologists and paleontologists. What will be next? ?